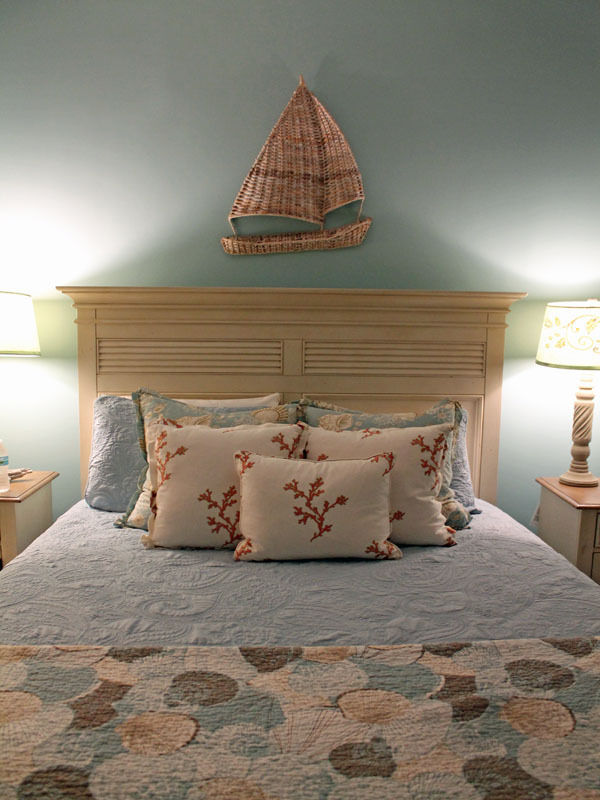 Our vacation to St. Simons Island was very relaxing. What we discovered was a gem of a beach and a quiet place for retreat and solitude. The slow place of the island was a perfect spot to recharge from a hectic full time life. We enjoyed our time so much we have begun planning to go back again hopefully very soon. 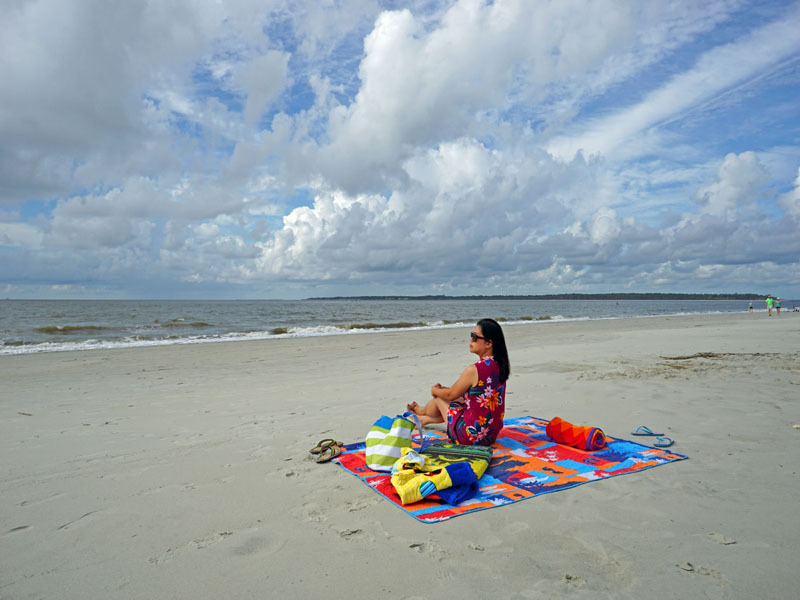 Surrounded by expansive beaches, moss-draped oaks, and salt marshes, Saint Simons Island, is part of the Golden Isles chain near Brunswick, is a nearly 18 square mile island. Lots of opportunities to fish in the rivers, tidal creeks, and the Atlantic Ocean. 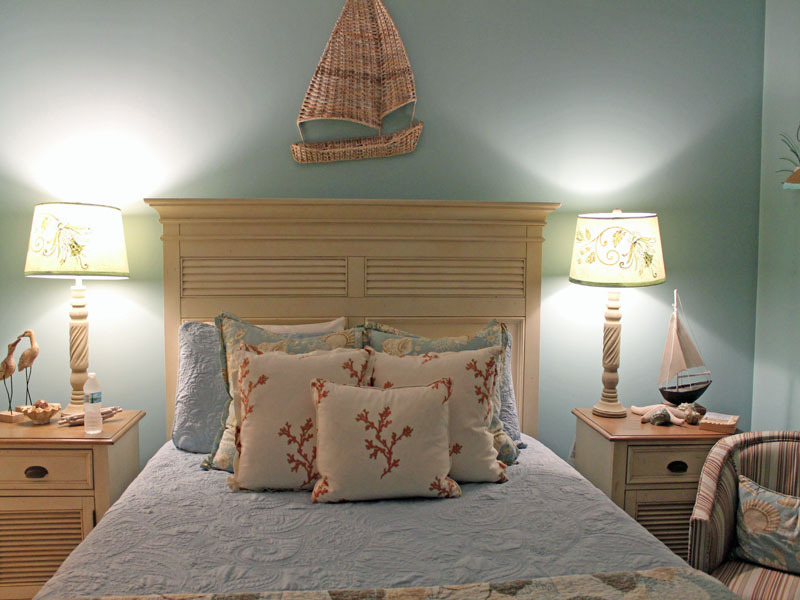 You’ll find charters and guides at the Golden Isles Marina, and you can also fish off the St. Simons Island Pier and surf cast on stretches of beach on the island’s north end. For such a compact island, Saint Simons is filled with historic sites. 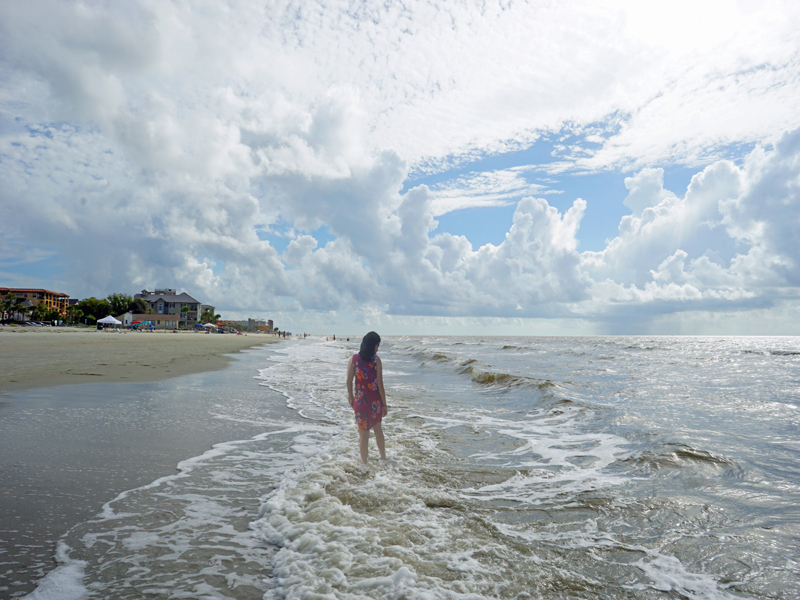 St. Simons Island remains a sleepy coastal town with lots of things to do here. The beach is full of endless possibilities, even though it’s literally just sand and salt water. I feel like it’s just impossible to be bored at a beach. 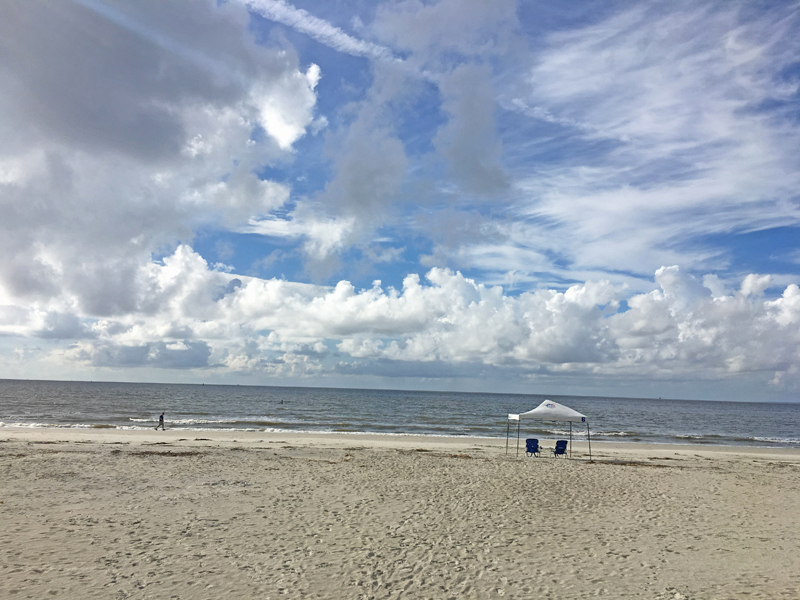 Year-round warm weather in the Golden Isles allows visitors to enjoy a variety of outdoor activities such as kayaking, fishing, biking the St. Simons Island Trail System, horseback riding, golfing, or relaxing with your toes in the sand on East Beach. Visitors can tour the island’s historic sites on a variety of transportation options, including the island's ever-popular guided trolley tours through the island. 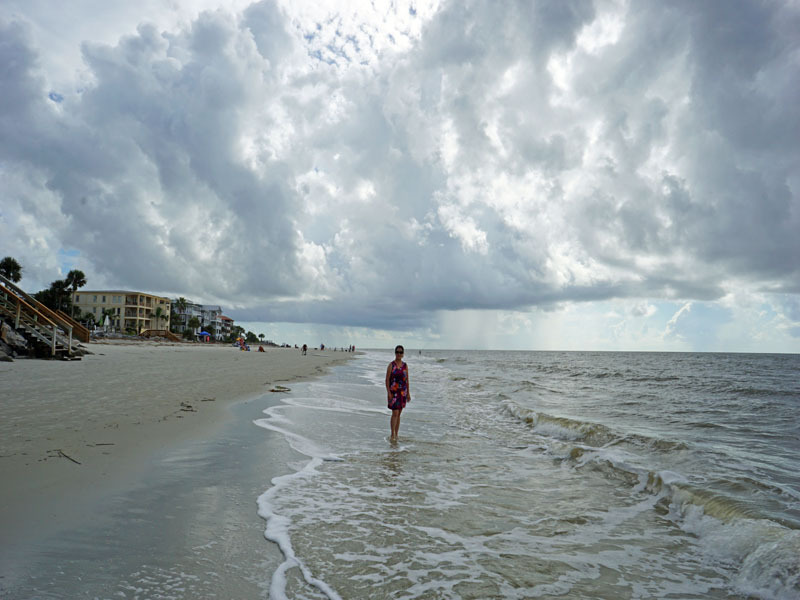 With so many things to do at St. Simons Island, it could be difficult figuring out where to start. St. Simons Island offers a variety of dining options from fine dining to casual outdoor fare. I highly recommend Barbara Jean’s Restaurant and Bar, it is a family run restaurant on St. Simons Island, Georgia, about 60 miles south of Savannah. They specialize in both seafood and made-from-scratch, home-style cooking. If you want a nice relaxing place to rejuvenate, then this is the place to come. Don't tell too many of your friends, they like it quiet down here. This is our second visit to this Island and on this trip we were invited by a friend to stay at their Front Beach Condo. The room we are at has this nice tropical feeling. 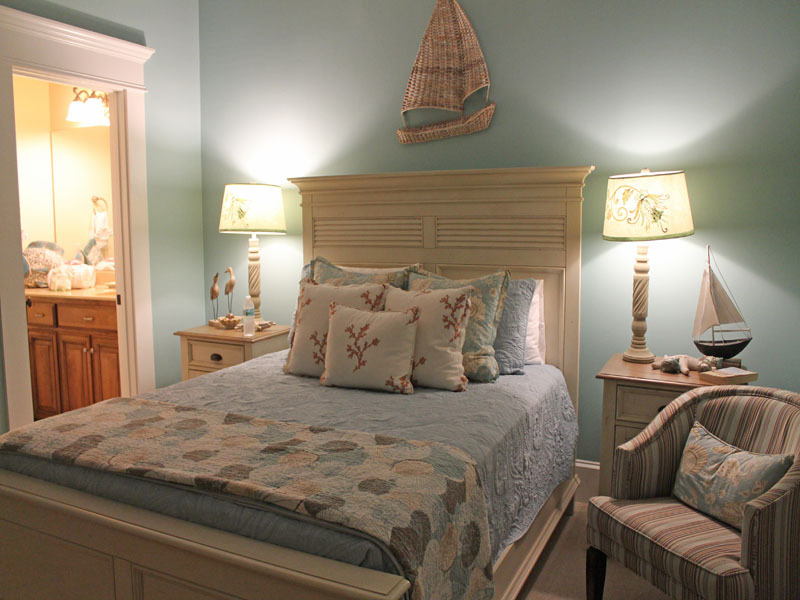 From the wall paint to the room decor and the smell of the ocean from the balcony was amazing! Hope you find this post very helpful , feel free to share it and don't forget to follow us for more. Now I want a beach vacation. This place looks so relaxing. Oh! To run away and relax on the beach! I can almost feel the sand between my toes looking at those photos! St. Simon's Island is a beautiful and relaxing place to visit. 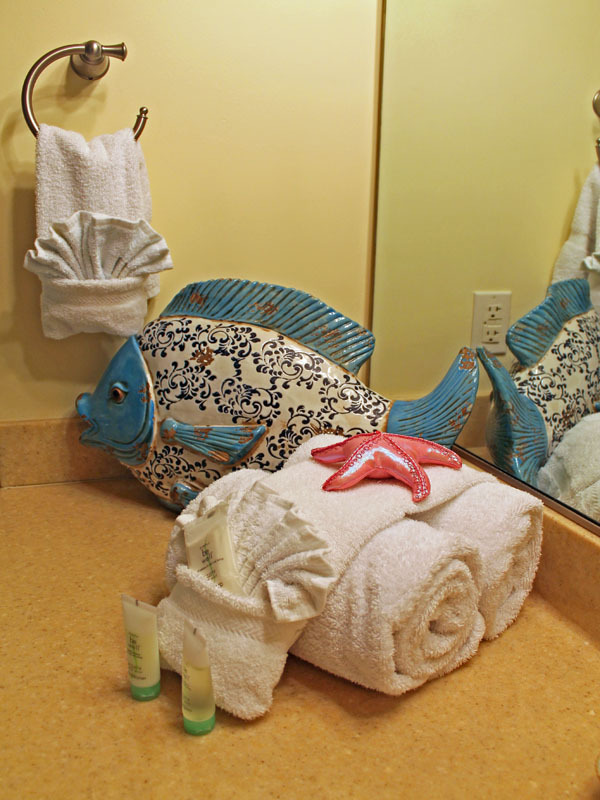 It's one of our favorite vacation spots ever! This is our second time in this Island. And each visit is different this little town has so much to offer. I can't wait to go back again. I know right?! I love to meditate when I'm at the beach, So peaceful and relaxing. Now, I want a beach vacation. What a perfect place to relax. Gosh now you have me wanting to go to the beach. It all looks so warm and inviting. It looks like the perfect place to just get away. Its kinda overcast that day but the beach is warm enough to enjoy, we had a blast! I live in the desert so I always want to vacation near water. This looks like a beautiful destination! Oh my gosh! That looks like such an amazing trip, and your pictures are amazing. Definitely another place to mark on my travel list! Thank you I appreciate it, I hope one day you could come and visit this island. I bet you and your family will love it there. I'm glad you like it. We enjoy that front-beach condo and the good part is we stay there for free its hard to beat that. This place looks so relaxing. I'm in need of a beach vacation. Wow! 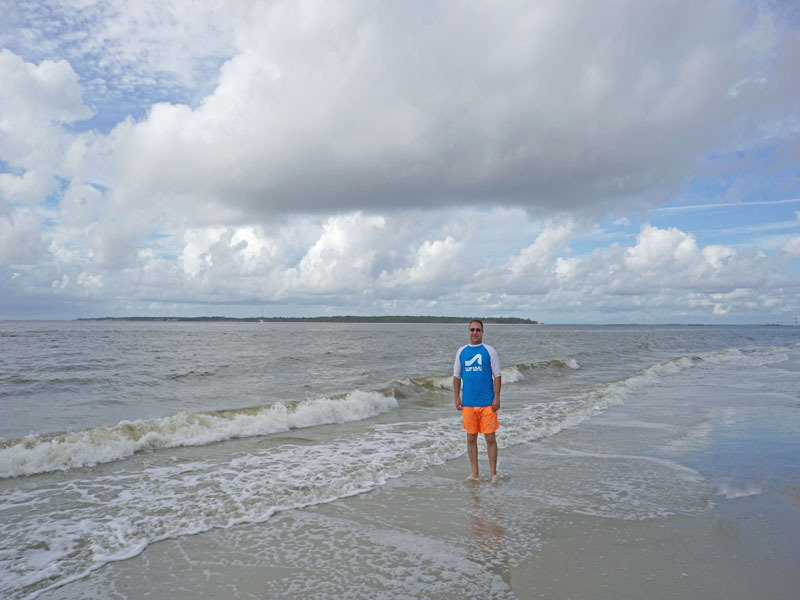 This ST. SIMONS ISLAND GEORGIA is such a wonderful place to visit and relax! Will definitely put this on my bucket list for my family's next travel visit! I haven't been to the beach in 8 years. It's beyond time to get back. I really need to visit St. Simon's! Even though I've lived in GA my whole life, I've only been there once (I think), when I was younger. It would make a really good weekend trip! I've never heard of St. Simon's Island before. It looks so beautiful. I'll have to keep this place in mind the next time I take a vacation. The beach looks relaxing even on the overcast weather. Saint Simons Island is such a lovely town to visit with. It looks like a beautiful place to stay! Would love to relax on that beach! Looks beautiful! Would love to vacation there some time!